Our business idea is to offer exceptional service and comfort at reasonable prices. Arctic Hotel should be the first choice for business travellers, as well as domestic and foreign tourists who want to experience Norrbotten and the beautiful wilderness of Lapland. 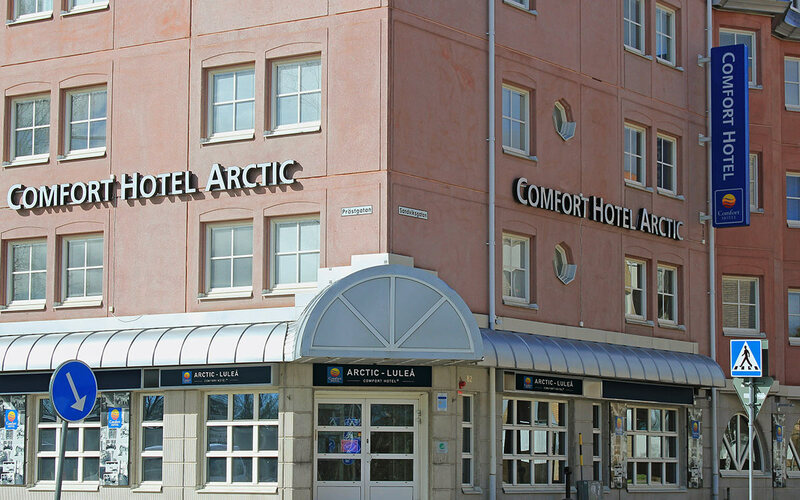 Comfort Arctic Hotel is a centrally-located hotel, just a stone’s throw away from Luleå’s shopping street, opposite the central station and 10 minutes from Luleå Airport. The hotel was built in 1986 and is owned by the fourth generation of the Hedman family, of the family company Hedmans Invest. We have incredibly service-oriented staff that we hope will make you feel at home here. You’re always welcome at the Arctic Hotel in Luleå! Long-distance coaches to Luleå bus station. Local buses to bus stop Malmuddsviadukten. or line 4 with local traffic to the city centre.